EARTH: even in all its entirety,diversity and grandeur is still such a tiny speck in the abysmal universe.It might seem that earthlings are at the mercy of some higher power/influence, the order and ways of which are still incomprehensible. Does that justify our submission to planetary influences in deciding the course of our lives? It wouldn’t be insane to rule out the existence of such a brilliant myth as astrology. So there definitely is an explanation to the actuality of astrology and the whole idea of “reading the stars .” It came into existence in the fifth century, and now is more of a tradition. 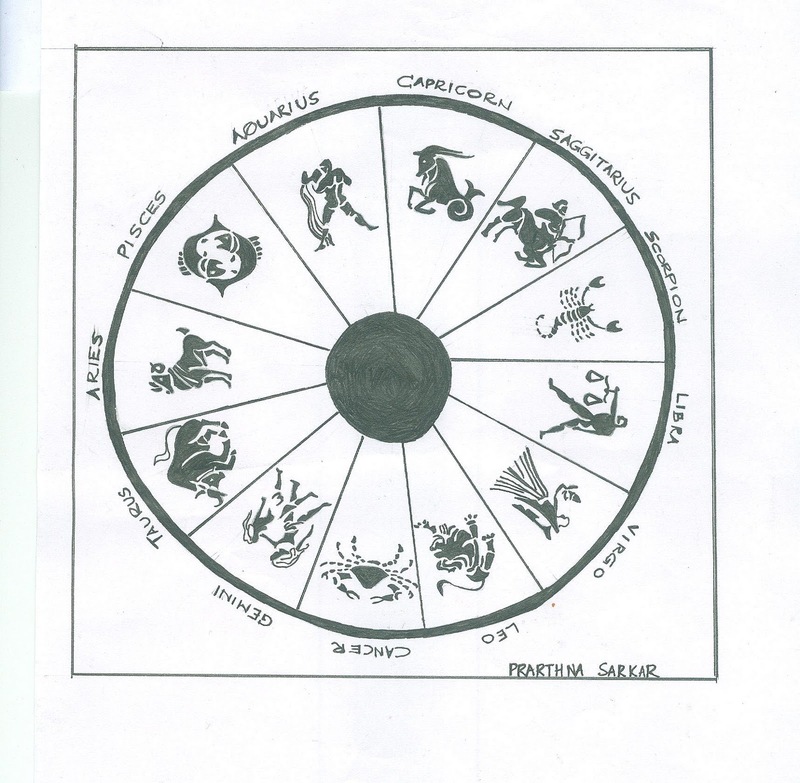 Indian astrology uses zodiac signs that are different from the Western one. In India, there is a deep rooted far-flung belief in astrology and is commonly used in determining mortal approaches to extract the best out of everyday life. Astrology has a firm grip over people with regard to influences over education, career and marriage. In the 1960s, H.R. Sheshadri Iyer was able to generate a lot of interest among astrologers in the west with his concepts of ‘Yogi’ and ‘Avayogi’. V.K. Chaudhury, a Western Vedic astrologer and author from the ’90s established the Systems Approach for Interpreting horoscopes, to make the idea of “Jyotish” ,the oldest system of astrology in India] simpler. In 2001, Indian scientists and politicians argued strongly over the proposition to use state money to finance research into astrology. However , the term “Hermetic Maxim” is something one needs to familiarize himself/herself with when trying to trace the roots of astrology and it’s being. It means ‘As above, so below,” Whoa! Isn’t that a little too complex to help a make-believe world exist? Well, believe it or not there are people on this planet who think that astrology is the way to go when you are helpless. It’s a simple three part process: you predict your future , feel better or worse , go to sleep with a sense of satisfaction and say to yourself ‘ May God bless astrology – I know what’s gonna happen. I’m safe now.’ Some opine that it’s a life-saving drug. I say it’s poison. It’s misleading, merely a rough guide to the future and is a hide-out for people who aren’t strong or determined enough to believe in themselves. The sad bit about this whole idea of astrology is that it is being used as a pretty convenient way of earning money rather than being a weakly suggestive guide to the future. Astrologers trick you into believing something you know is not possible, and guess what – you believe it. Why? Because the ugliest friend of yours got hitched last night. The astrologer at first instructs him or her to wear certain kind of accessories or perform few rites to ward off the evil. And then very cleverly asks the client, now entirely at the mercy of this Godly astrologer, to wait till the results are out. While the ignorant one waits for the outcome, the astrologer manages a temporary job for the distressed one. There you go, superman saved his life. Isn’t that too good to be true? How I wish astrologers could manage my grades as well! “Few big companies have tie ups with renowned astrologers , that’s how these con men survive and allot temporary jobs to the jobless,” said Jyoti Batra, reichi analyst and Tarot card reader from Mumbai. “People shouldn’t follow astrology blindly, it’s more of a business now – the authenticity has vanished” says Mr. B. K. Ghosh , an astrologer from Kolkata. What amuses me the most is when prestigious newspaper groups like the Times of India publish articles in favor of something as vague as astrology. On March 12, 2009 T.O.I carried a story that spoke about astrologers who predicted the ‘turbulent political atmosphere post-poll’. Isn’t it too simple a prophecy to be made? Even a kid would know. It’s almost an anarchic situation in India during the elections and so it’s easy for anyone to take a guess that an unhealthy situation would be created after every such happening. It’s not just here—it’s all over the world. While I was thinking hard about the concept of reading the stars, horoscopes, zodiac signs and how it has influenced people across the world, I stumbled upon this man at a coffee shop who was reading Linda Goodman’s sun signs. I immediately knew that he would help me understand better and so I went ahead with my set of questions: What has prompted you to believe in astrology? Why do you think it can save lives? Does it come with a guarantee? “I have never had faith in astrology and always thought it only affects people psychologically,”said Mr. Upasak Das, an ex employee of Gen pact. Four years back in June 2007 his parents had tried fixing his marriage but the astrologers told them that getting him married would be a tough task due to the not-so-conducive positioning of the stars. He was made to walk along the boundaries of his house six times after feeding a cow at five in the morning for three weeks without fail. Needless to say, all of that drove him crazy, but guess what? His marriage was fixed soon after.” Marriage here in India is considered to be an important step in one’s life and if one faces hiccups in the initial stages of an important institution like marriage then you tend to get superstitious”, added Das during the short lived conversation. Is it all about moneymaking? Today, astrology has grown from a hobby into a business and has deep rooted itself in human psyche across the world. From politicians to businessmen, everyone has a strong faith in astrology. And why? Well, it would be too easy to guess that they believe in something like this only because they are afraid of the unknown. Perhaps,they have achieved a lot in life and when they have come all the way, they have lost their confidence to keep it going.Hence the faith. In India, movie stars consult astrologers and seek help from tarot card readers to gauge the success of their film even before the film is launched. Isn’t it absurd? How would anyone with the knowledge of a concept that is based on hot air predict the audience’s reaction? Such questions remain unanswered and go unnoticed while people continue believing in astrology. It is just a medium of earning easy money. Some have and are willing to shell any amount just to fix their future. Now, one could say that Nostradamus predicted the World Trade Center attacks and so how is astrology invalid? But I say that there could be million other explanations for those two sentences.